assisting the public to advocate for the welfare of wild horses and burros. Under the federal Wild-Roaming Horses and Burros Act of 1971 that Wild Horse Annie worked so hard to create, these herds should be protected not rounded up and sent to slaughter. 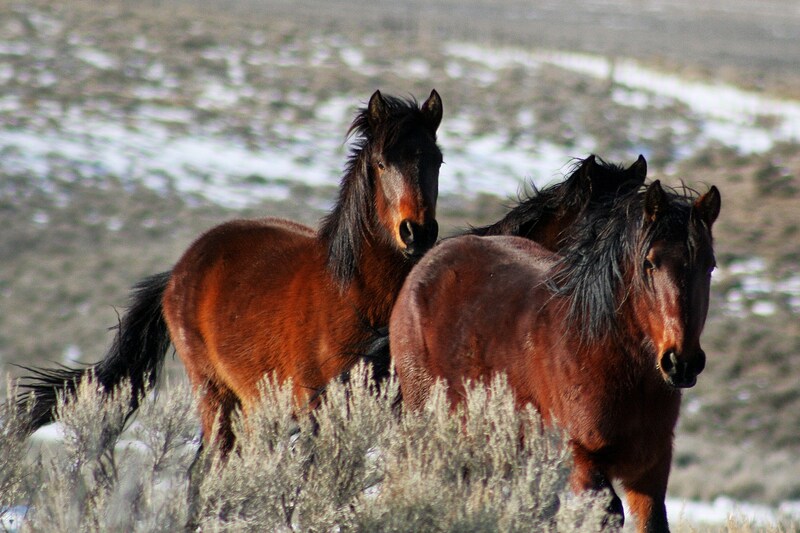 This issue of management of wild horses and burros is complex and often the public, Congress and even government employees involved in the programs are not aware of basic dynamics and factors involved. WHE strives to provide information and education about the current situation with the wild horses and burros and the issues surrounding public land management for the various jurisdictions that manage the herds that are on public land. We do this to help facilitate public awareness and participation in these issues and in the public decision-making process. WHE continually documents the management practices of government agencies charged with overseeing wild horses and burros, giving the public needed first hand information on what is going on the range and in wild herd holding facilities. Our information provides essential insight into herd dynamics and behavior that are central to any discussion about the best way to manage these animals in the wild. WHE has rescued wild horses in need including orphans from the McDermitt roundup and Sheldon National wildlife refuge. In the process of monitoring and documenting, Laura Leigh, WHE Founder and primary investigator, has now spent over three years and thousands of hours in the field; she has driven over 200,000 miles following wild horse and burro roundups. Documentation of these roundups is available on our website. In order to obtain documentation necessary for the public awareness and to ensure the welfare and prohibit the inhumane treatment of America’s wild horses and burros, our organization has had to resort to legal actions. WHE now has four active cases in federal court against the managing agency, Bureau of Land Management (BLM). Three of these suits are against inhumane treatment and the other is a First Amendment case that requests public access to all locations—from capture to disposition—of America’s heritage animals. Currently BLM regularly designates selected areas off limits to the public.